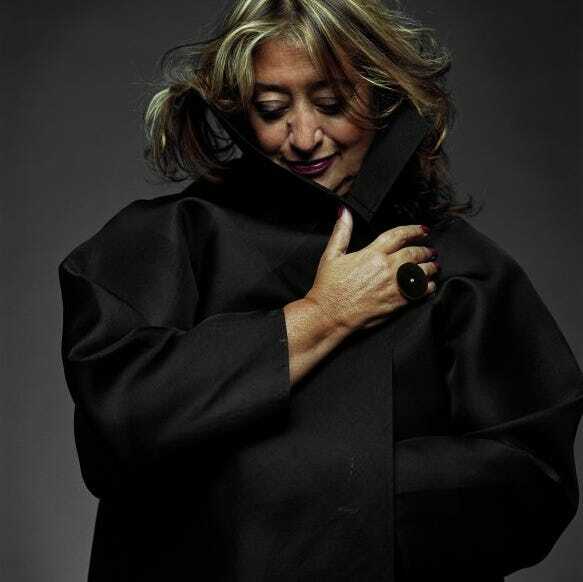 The late Zaha Hadid, who died last year at the age of 65, reshaped architecture for the modern era. Hadid was known for her neofuturistic style, with buildings featuring sharp angles and wild forms. In 2004, she became the first woman and the first Muslim to win a Pritzker Prize, considered the Nobel Prize of architecture. The Iraqi-British architect designed iconic buildings around the world, including the London Olympic Aquatic Center, the Hong Kong Polytechnic University, and the Heydar Aliyev Cultural Center in Azerbaijan. Over 30 her designs, including a Beijing office tower with the "world’s tallest atrium," are still under construction. 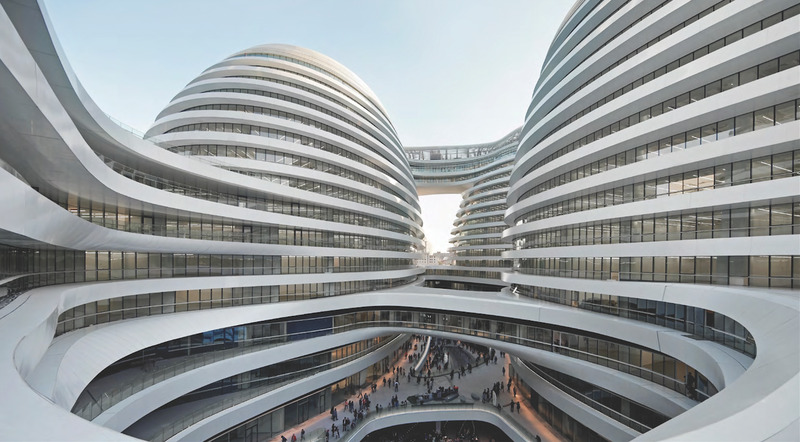 The firm that she started, Zaha Hadid Architects, is continuing her posthumous career and will deliver nearly 50 more structures — more than she designed in her lifetime. One of the firm’s most ambitious projects will be redesigning Estonia’s capital by 2030, a project it won earlier this month. 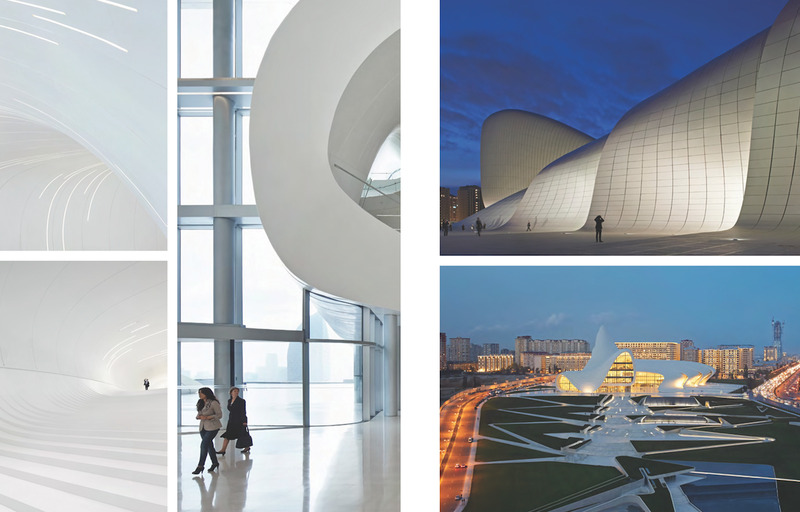 A new photography book, "Zaha Hadid Architects: Redefining Architecture & Design," chronicles how Hadid revolutionized building design. Over the course of her career, Hadid completed more than 30 acclaimed works. 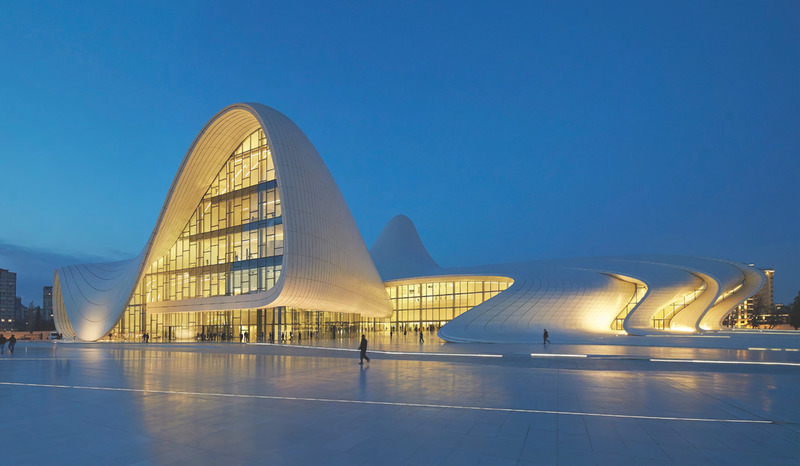 The 619,000-square-foot Heydar Aliyev Centre opened in Baku, Azerbaijan and won the London Design Museum award in 2014. Like many of Hadid’s extravagant buildings, it had a hefty price tag: $250 million. The Galaxy Soho building in central Beijing opened in 2012. The facade features curved forms, a style Hadid was known for.